Looking at the Visa chip card count out in the field, June’s number stood at 499.7 million. That’s up from 159 million in September 2015. 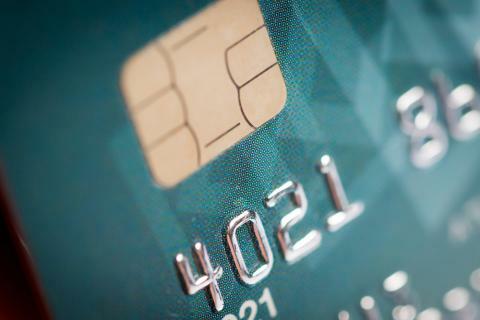 The 214 percent increase comes as 69 percent of cards, including debit and credit, have chips. Breaking down those segments a bit, the company noted that of total chip cards, credit cards were at more than 210 million — up from 93 million in 2015. The total number of debit cards leaped from 67 million to 289.1 million. The number of merchant locations accepting the cards is at 3.1 million — up from 392,000 locations at September 2015, and up 680 percent from the beginning of EMV migration in the United States. With the increased presence at storefronts, it makes sense that payments volume would also be on the rise. Visa said that 97 percent of U.S. payments in June were on EMV cards. In terms of chip payment volume, the latest reading stood at $76.7 billion — up from $4.8 billon in September 2015. The transaction count saw a boost from 79 million to 1.7 billion over that same timeframe. As noted in a release from the end of last year, and in depicting June 2017 data, a Visa infographic showed that U.S. financial institutions had issued 462 million chip cards to consumers, and chip cards were accepted at 2.5 million (55 percent) U.S. storefronts in June 2017. According to Visa, as of September, there were $59.4 billion in chip transactions, up from the previously mentioned $4.8 billion in September 2015.